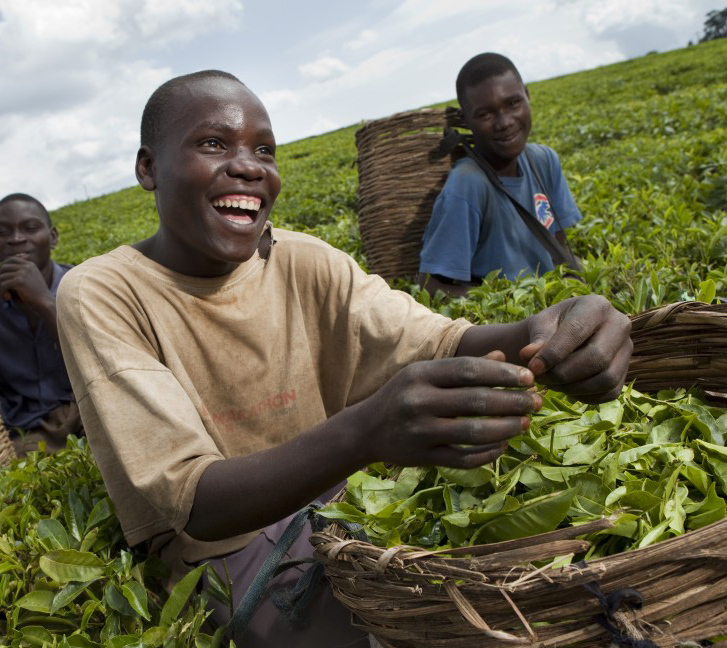 The 12 winning photos below will be featured each month in the 2014 Fair Trade Calendar. 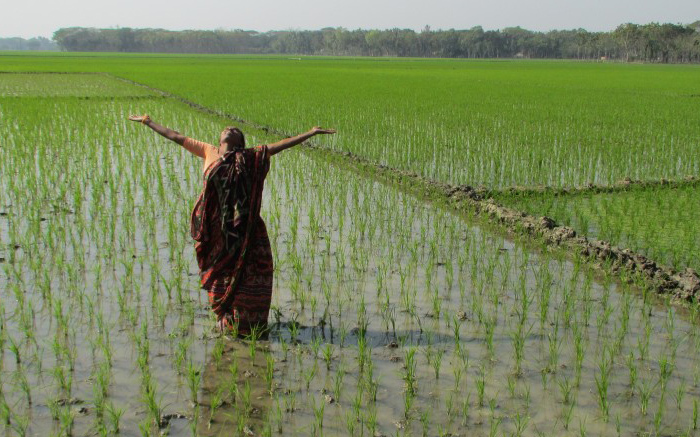 The photos were submitted by the public, and voted on by the public, during the 5th annual Fair Trade Photo Contest- June-July 2013. 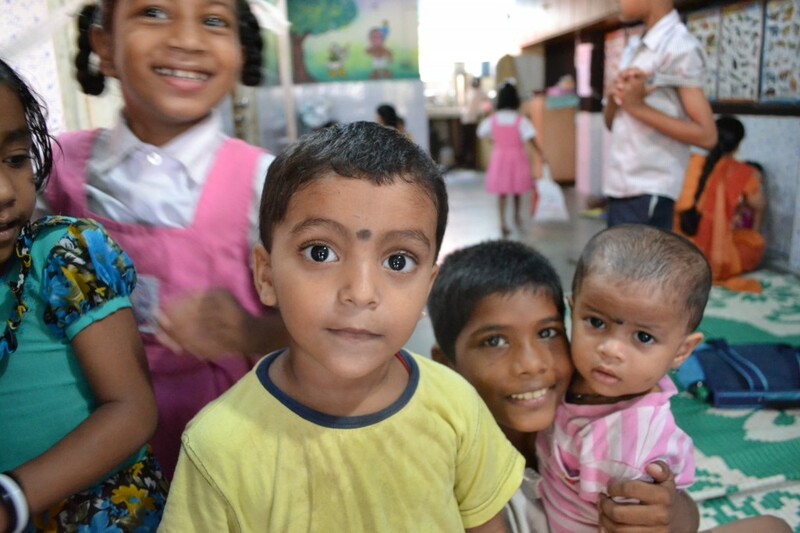 These children are playing at a daycare center placed on-site in a Mumbai women cooperative. 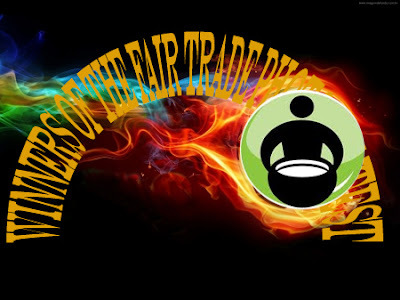 Mata Traders associates with this cooperative to bring modish fair trade apparel to the American market. Celebrations and ceremony are a key part of life in rural Northern Ghana, West Africa. After a visit from our fair trade buyer, weavers may sing and dance for many hours to mark the juncture. Village life normally does not include a chance to earn money -so selling baskets for sustainable wage, fair trade prices truly transforms the lives of a weaver’s family. 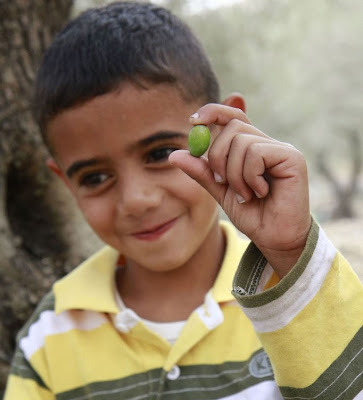 This Palestinian farmer son holds an olive, their countrywide treasure. 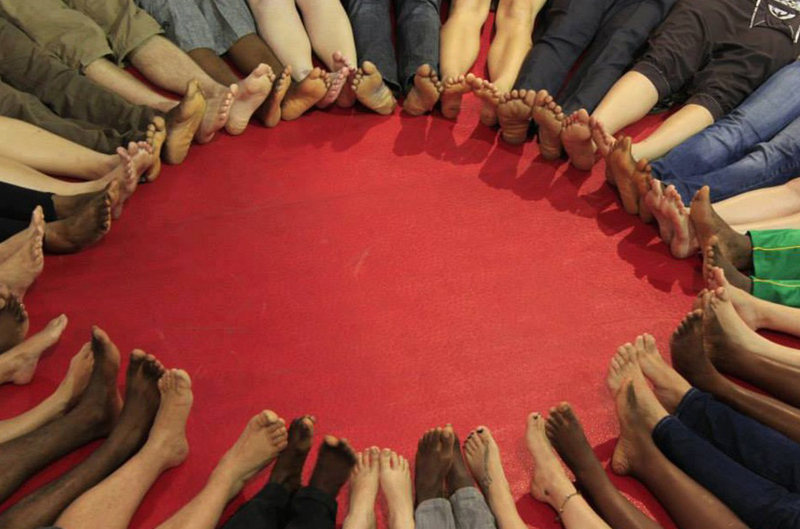 Fair trade has made olive farming a sustainable living again, still in a conflict region. 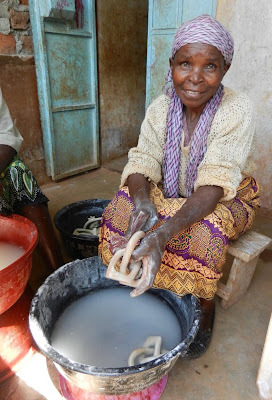 Canaan Fair Trade farmers get paid at the olive press, so they can put their next crop in the ground, put the addition on their house, teach their children, and live their lives. Ugandan fair trade tea co-operative, Mpanga used their loan from Shared Interest Society, the world’s only 100% fair trade lender, to supply manure to their 1,000 farmer members. 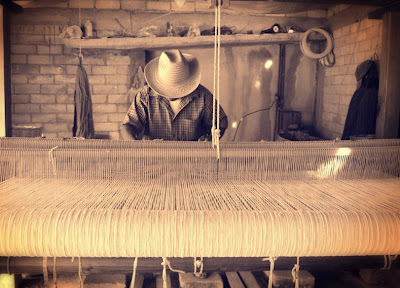 Sometimes watching the artisans weave can be magic, such as a feeling of awe in this shot of Andres at his loom. This photo was taken in Teotitlan del Valle, Oaxaca, Mexico, on a trip to visit amazing weave families. When Teresa was widowed 13 years ago, she wonders how she would care for her 6 children. Then she found a job sanding stone carvings. The gravel is chopped into shape by men using machetes. Then Teresa and her friends wet-sand the carvings until they are smooth to the touch. The Amganad the public gathers at the ceremonial terrace of elder Anna Habiting in Banaue, Ifugao, Philippines to open the harvesting season for “tinawon” rice. 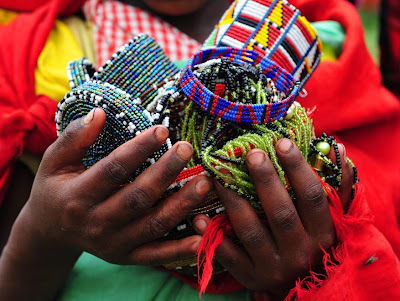 Earthen hands of fair trade cradle characteristic Maasai beadwork along the Tanzanian/Kenyan border at Ololosokwan, in place of a colorful landscape of a proud semi-nomadic people, engaged in brilliant artistry and a respectful exchange that offers hope for better tribal life. At the busy Jacobs Well fair trade style production house in Bangalore, India, there is always time to share a joke! 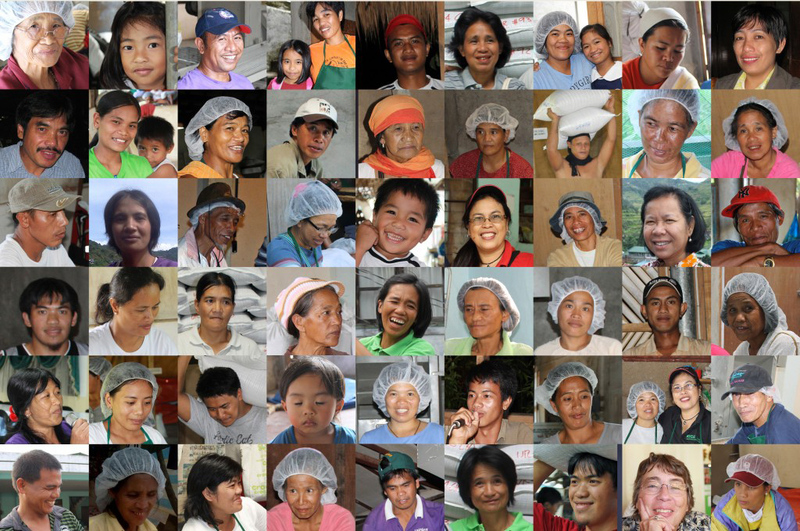 Kanchana is one of the latest members of the team and brightens everyone day with her smile and catching giggle. 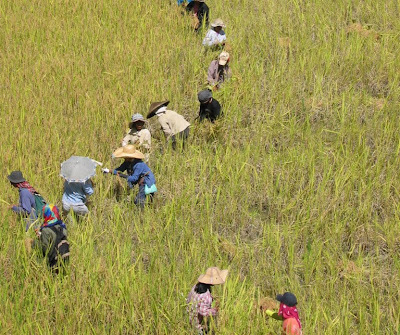 Over 3weeks in September 2012, 185 small-holding farmers of the Rice Terraces Farmers supportive came together to consolidate and process their harvest of heirloom rice for local and export sales. This is the connection started with the Fysic project, in Modica, Sicily. Young people from Cote D’Ivoire, Togo, Czech state and Italy met there in order to share experience and information about Fair Trade, with the goal of creating a wide net for in charge tourism and chocolate production.